David Rakel, MD was the founder and director of the University of Wisconsin Integrative Medicine program and is now Professor and Chair of the Department of Family & Community Medicine at the University of New Mexico Medical School in Albuquerque, NM. "I knew that creating connections is what helps me facilitate healing and also helps me to feel healthy." All of us have an innate capacity for compassion. We recognize when others are hurting, and we want to help, but we’re not always good at it. There is another way. 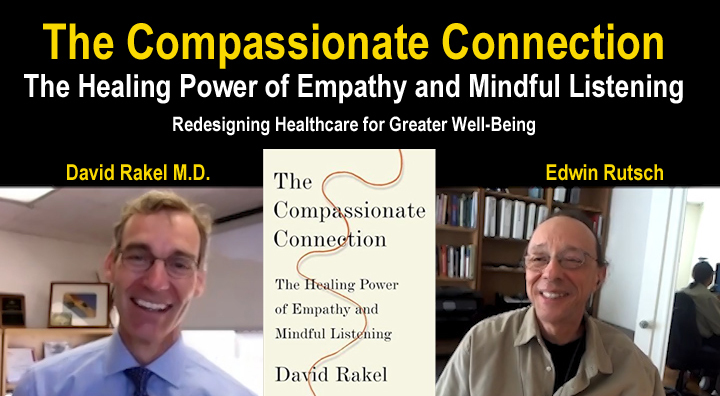 In The Compassionate Connection, Dr. David Rakel explains how we can strengthen our bonds with others―all the while doing emotional and physical good for ourselves. "A family and integrative medicine practitioner extols the universal healing power of kindness and mutual respect. family and integrative medicine practitioner extols the universal healing power of kindness and mutual respect. Rakel (Chair, Family and Community Medicine/Univ. of New Mexico; Integrative Medicine, 2002) explores the hot-button topic of empathy in everyday life. 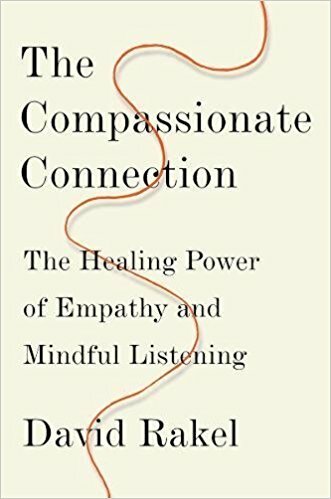 Using clinical anecdotes and drawing on 30 years of published sociology, psychology, meditative, and neuroscientific studies to support his theories and recommendations, the author promotes the synergistic two-way street of helping others while receiving in return the soul-nourishing emotional and physical benefits. “The human brain is actually wired for cooperation and giving,” he writes. “But we’re not always good at it.” Though many often bungle it, Rakel clearly believes everyone has the capacity to promote, cultivate, and boost health, healing, and “positive contagion” by making a lasting human and mind-body connection with others. "The Health Clinic of the Future" featuring Dr. David Rakel, MD and Lee Tomlinson, PEM. This is a segment from the The Health Clinic of the Future eLearning Course offered by AIHM. "How humans can heal other humans and improve their own health in the process."